If you read last week's newsletter, you saw that I'm looking for some feedback about future issues of the newsletter. While the research that I do on a weekly basis helps me keep a pulse on the goings-on of DevRel, I also want to make sure that it's useful for you. If you haven't already filled it out, I'd appreciate it if you'd take a few minutes to do so. Most things should look fairly similar this week -- all the same categories that you've come to know and love, with a few minor tweaks here and there. There will be additional (minor) changes in the weeks to come, so if you have any questions or comments, be sure to hit reply and let me know! The biggest change this week is in the Storytime 📚 category. You'll notice I haven't mentioned the many blogposts that have been released in the past month focused on how people got into DevRel, or what their career trajectory has been. Instead, I'm starting to build a collection of these stories that I'll be featuring on my website and referencing on occasion in the newsletter when there are new additions. That way the resources are always there for you to revisit or send on to other folks who are DevRel-curious. If you've written a "day in the life of" blogpost or your journey of how you became a DevRel professional, please send it along! I'd love to include it. p.s. One more survey that you should be aware of: The 6th Annual Developer Relations Survey has just been published. Be sure to set aside time to fill it out -- together we can discover the current state of DevRel across the industry. p.s.s. I'm in the process of figuring out how to keep Gmail from cropping the newsletter (apologies!) but in the meantime, please click through to read the full issue. They have to know that you care. Building relationships with developers requires, as a core tenant, the mantra "Developers don't care that you know, until they know you care." We're all on a level playing field. Every developer and DevRel I know has/does suffer from impostor syndrome. They’re people who have built some of the most used code in the world. They’re people who have opened up OSS. They’re people who have created long-lasting communities. We’re all on a level playing field. Talks are a means to the end. Please folks, stop mentioning conference talks as the first thing you can help with while asking or suggesting yourself for #DevRel related jobs. Conference talks are just means to an end. Highlight you understand the end, and how you can help grow, not how much you can travel. An essential part of every DevRel onboarding. This should be part of all Dev Rel training. DevRel isn't about sales. It's not about marketing. It's not about just defeating FUD or misinformation. DevRel is not a quick fix. It's about getting feedback to get better. DevRel is an entirely different discipline than Engineering. I get the feeling a lot of companies think #DevRel is easier than full-time engineering. I've done both. I assure you, it is not. It's an entirely different discipline. It's diplomacy. And it's no easy feat to find compromise between engineering, product, and marketing. Having spent time in this role in past, the complexity of interpersonal communication and nuances of not just communicating - but listening - aren't things everyone does well. Not easy to do, but very rewarding when done right. DevRel != telling people what to do. Reminder: if you ask a #DevRel person to only talk about your products and not mention options and what the competition does, you want a sales rep. DevRel is about winning by comparison and in-depth knowledge of the field, not about telling the world what to use. Have you benefitted from the help of fellow DevRels in the past? Here's your chance to give back! Have an answer to one of these questions? Click through and let them know what you think. What do you call people who've been in your community for a long time? 5+ 10+ years? So I'd like to write a blog post of a handful of tips and tricks that will help developers improve the readability, scanability, and discoverability of their technical content (video, blogs, articles). What are some questions about the above that you'd like to see answered? For all my #devrel femme/women colleagues out there: any tips for my first video? I love live speaking because of audience interactions, but this is different. "What do you carry in your bag?" is almost as common of a question as "What's the best backpack?" in DevRel circles. Matt Mullenweg answers both of those questions in his 4th annual What's in my Bag blogpost. From tchotchkes to dongles to creature comforts, he shares what he carries with him and why. Looking for a place to share additional items that you can't live without? Anne Helen Peterson started a great conversation on Twitter about the items needed for a 10-day business trip. We've talked about the Community Commitment Curve previously, but Alfredo Morresi breaks it down for us this week from an in-person (offline) community standpoint. If you're involved in organizing tech meetups, this is an article you don't want to miss. Communicating feedback is one of the most important things that DevRel teams are able to do. But once we have that feedback, how do we go about getting it incorporated into our product? Liz Crampton gives us 18 ideas to try out in this recent CMX Hub article. What Is The Craziest Thing You Could Do? What is the craziest most amazingly game-changing thing you could do for your members if time, money, and resources were no object? Richard Millington encourages us to ask this question and then begin to pull levers and try experiments that would allow us to move in the direction of that game-changing answer. Knowing the answer to this question makes it easier to decide which battles we fight on behalf of our community members are the must-win battles. The journalism industry knows engagement is necessary to survive. Turns out, engagement is a process, not a product. The solution must start with mindset and culture change, not software. Our company is now 12 people strong, half of which focus entirely on consulting and training newsrooms to develop their engagement strategies, goals and workflows before they ever touch technology. There have been a handful of relevant podcast episodes released in the past few weeks. Feel free to hit reply and let me know if there are others I'm unaware of! The hiring rate for Developer Relations professionals isn't flagging! If you've got time set aside to look over open positions this weekend, you're in luck. With 131 tabs to sort through, there's sure to be something for everyone -- interns, Junior Developer Advocates, Community Managers, leadership roles, and everything in between. Special thanks to our new sponsor, Bose. Looking for your next step in your career? Take a look at their Senior Developer Advocate job opening! There have been a mind-blowing number of DevRel-related conferences in the past few weeks! From community vendor shows like Lithium CX Live to community-run events like the Italian Community Manager Summit, to DevRelCon London and DevRel Summit, there are too many highlights to capture here. I've gathered a handful of favorite tweets, retrospectives, and highlights for you here. I'll keep adding to it as I find more in the coming weeks, so stay tuned! Events are winding down for the year, but there's still a handful of webinars between now and the end of the year, as well as a few events to look forward to in the beginning of 2019! If you're planning a Community Manager / Developer Relations meetup in the near future, be sure to let me know -- I'd love to include it in the collection. Happy Thanksgiving to all who are celebrating! 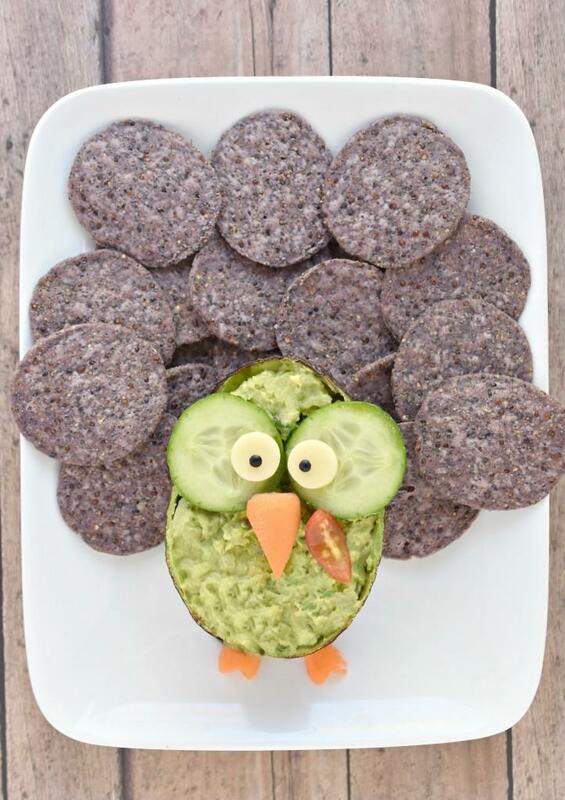 Enjoy this avocado masquerading as a turkey... or is it a turkey masquerading as guacamole? Either way -- I hope you have a great day with friends and family! Hat tip to Kashyap Deorah for this adorable image and link!